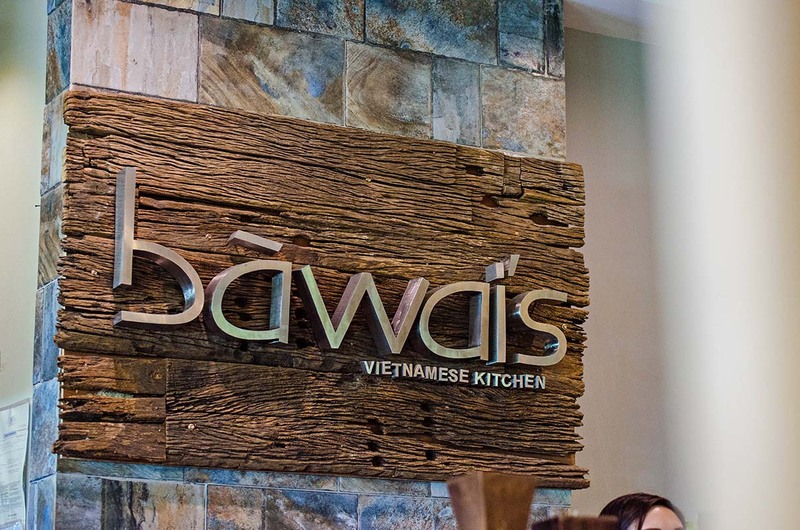 We were introduced to Bawai’s over five years ago when it was still this little known restaurant in a nondescript house surrounded by empty lots and the occasional cow. The unassuming restaurant, whose name translates to maternal grandmother in Vietnamese, redefined what Pho was for me. The kitchen was run by the owner’s grandmother who is Vietnamese by blood but had settled here in the Philippines after marrying a Filipino. A few years back, they opened shop in White Plains, Katipunan and it was only late last year that I was actually able to try their Manila branch and only today that I was able to grab a few snaps to share in the blog. That said, we took the lone lady of the household out for lunch in Bawai’s today. I would have said that it was quite apt that we brought mom there for Mother’s Day but we might be rushing into things by making a restaurant named grandmother “apt” for the occasion. We wouldn’t want to rush into that now. Hahaha! We started the meal with some Goi Cuan, fresh spring rolls in a thin rice wrapper served with a peanut sauce. This was a great way to start the meal. The wrapper was nice and thin so it didn’t take away from the flavor of the filling. 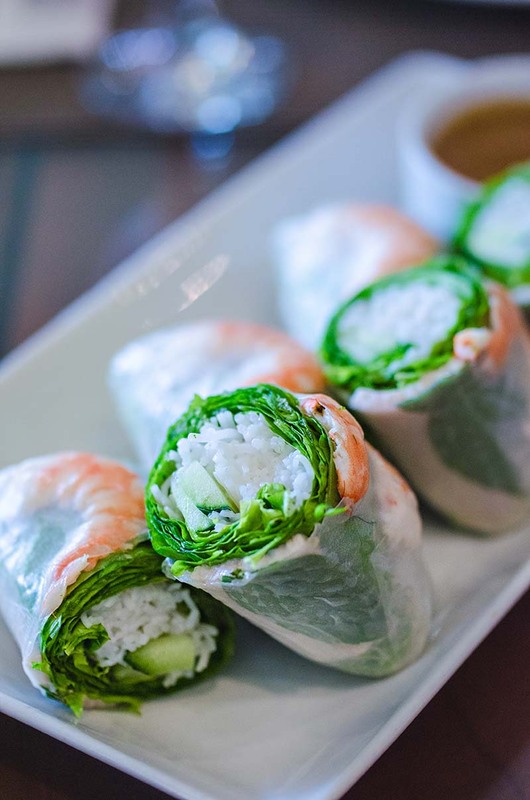 The vermicelli might seem like a lot at first glance but with the peanut sauce, it worked really well and was quite balanced with the other fillings of the spring roll. 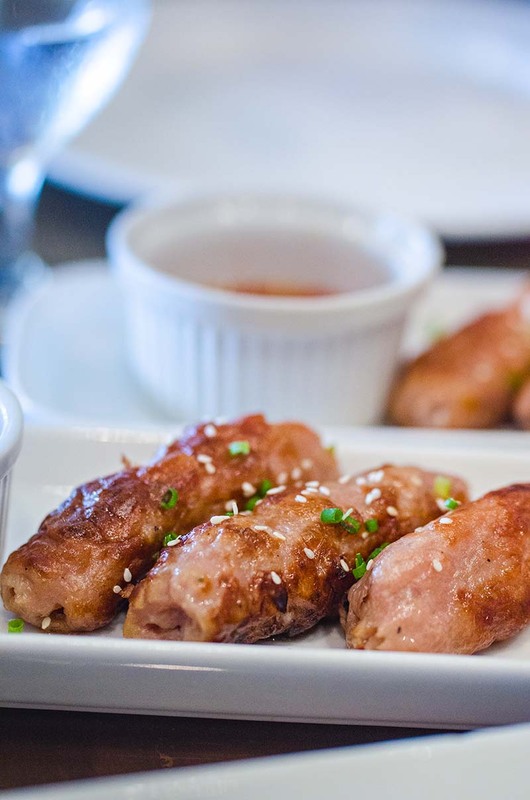 We also got Nem Nuong, Vietnamese style sausages grilled and served with a sweet chili sauce. These are a family favourite! At over Php 200 for three pieces, this might seem a bit pricey but these are really delicious. My younger brother would always describe it as “Vietnamese kikiam,” which I find pretty funny. I ordered a Pho Bo, a traditional Vietnamese beef noodle soup, for myself. The order I got was the solo serving so I found it a bit small. The bowl for sharing, which was just a bit more expensive, would have been much better. 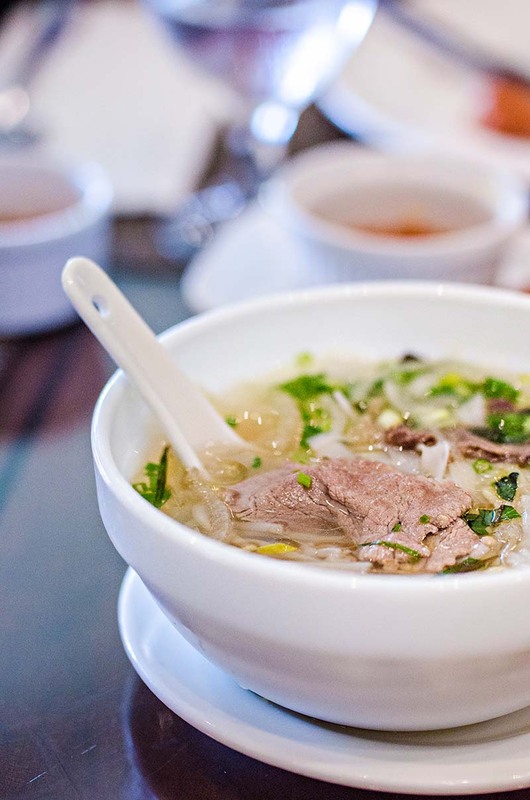 Size aside, the bowl was what I would expect from a nice bowl of Pho. Light beef based broth with a good amount of freshness from the basil, onions, beansprouts, and wansoy/coriander. What they don’t have in the order is chili so if you want a bit more heat in your bowl, you can always ask for freshly chopped red chilis to drop into your bowl. All in all, Bawai’s Manila branch is still pretty good if you’re looking for a fresh bowl of Pho in the city. There still is that charm to their Tagaytay branch. It has this homey charm that the White Plains branch does not seem to have. If you haven’t been to their Tagaytay branch, I would recommend that you make the drive up one weekend. Do make sure that you call them early to make a reservation since the Tagaytay branch tends to always be full.